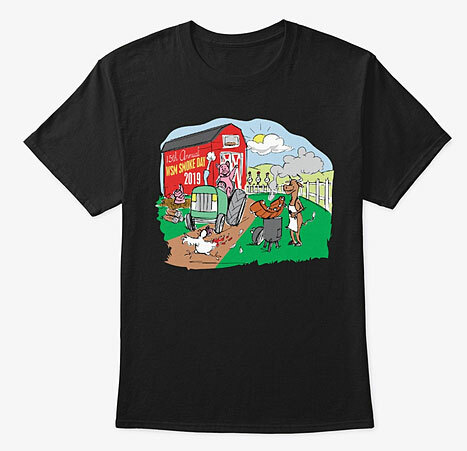 Thread: Order WSM Smoke Day 15 T-Shirts! 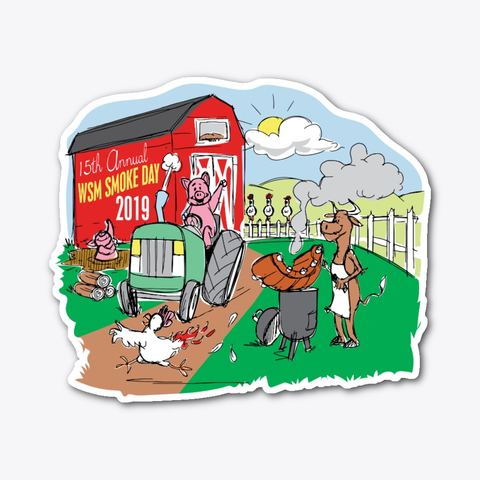 We've got another fun t-shirt design from Patrick Carlson of Hot Spot Graphics for WSM Smoke Day 15! T-shirts are available in a variety of colors in sizes up to men's 5X. Price is $22.99 regardless of color or size, plus $6.99 shipping and local sales tax. Expedited shipping is not available, delivery time is 9-14 days. Order early to receive your t-shirt in time for Smoke Day on May 25. A portion of each purchase helps keep the lights on here at the forum, so thank you in advance for your purchases! 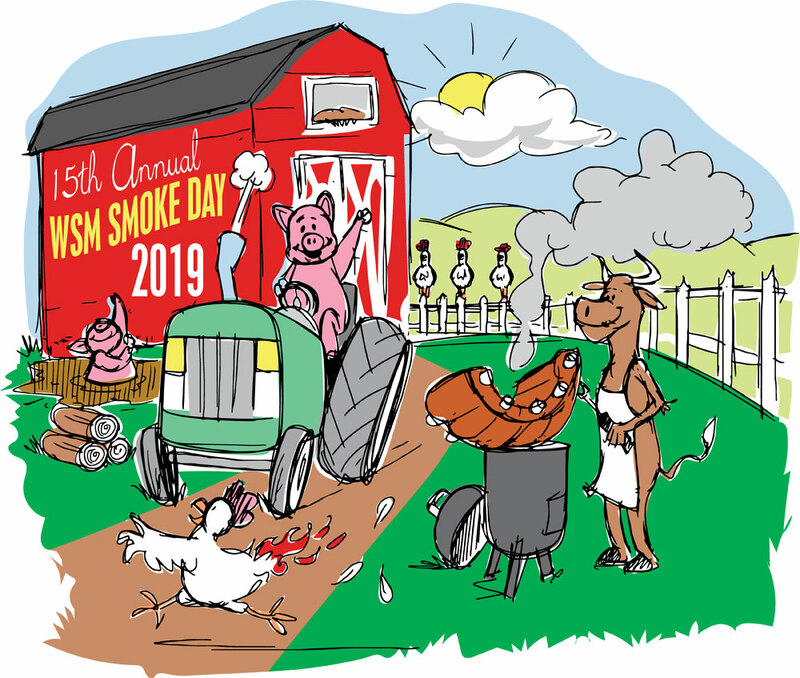 Make sure to post a photo of you wearing your WSM Smoke Day t-shirt! So far you guys and gals are ordering these t-shirts in colors I never would have expected. YOU'RE NOT AFRAID OF BOLD COLORS! And here I am wearing boring BLACK. 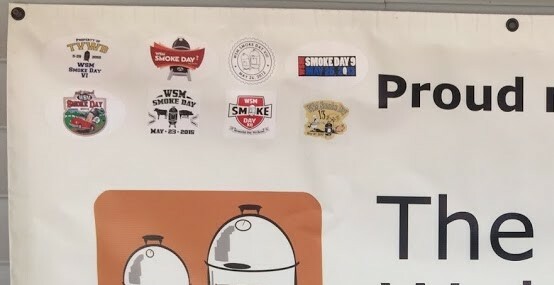 Chris, no more Smoke Day decals or Smoke Day magnets? Last edited by Jim Lampe; 04-14-2019 at 01:25 PM. My problem with ordering T-Shirts, is getting the right fit. I like my T-Shirts to fit loose, and it seems the manufacturers now, make them for these guys who lift and want to show off how buff they are. I once wore XL , but now those are too tight fitting. So I order XXL and those either fit great or are too large, as it seems sizes vary with the brand name. I used the sizing chart with the smoke day Tee's, and I'm right inbetween XL and XXL. I've got too many almost new T-shirts hanging in the closet that I won't wear because of poor fit. I even looked through my shirts for the Gildan brand, to try to get an idea of how they size shirts. I have three of them, and all three fit differently. But I may have to gamble on a shirt this year. I would suggest that you use the sizing chart in good faith. If you're between two sizes, go up to the next size. If you get the t-shirt and it's too small, let them know what you did and ask for a larger replacement for free. $3.50 + $2.50 postage. 5" wide. Selling at cost, no profit.